Organisations today are faced with a fast-changing, highly connected business landscape. As the cybersecurity threat landscape grows in complexity, technology and info-security leaders must shift to an offensive position against malicious attacks. Security leaders are now expected to effectively communicate and engage with board members on risk management strategies, embed new cyber security within a seamless digital user experience and integrate dedicated solutions to protect their various digital systems. This Thought Leadership Forum is an exclusive gathering for technology and security leaders to exchange views on the approaches to cybersecurity management, next generation technologies and strategic priorities for a future-ready cyber-defence strategy. How robust security toolkits can be integrated to isolate employees and customers from malicious internet content, while delivering a frictionless online customer experience. How organisations are leveraging the broader community through initiatives such as bug-bounty programmes and threat intelligence sharing. Case studies about how advanced technologies like blockchain can be adopted to secure your digital partnership ecosystem. How technology and security leaders can build well-integrated cybersecurity toolkits to protect business-critical assets in a zero-trust security architecture? Suchit is the Head of Information Security at Grab, where he provides leadership and oversight to ensure the security of hundreds of millions of people who use the ride hailing platform in South East Asia. He is also very passionate about collaborating with the security community and building solutions to improve the ecosystem at large. Prior to Grab, he was heading the security assurance team at Uber focusing on the enterprise products and services and drove the global technical security & compliance strategy for Uber Everything and Uber for Business. 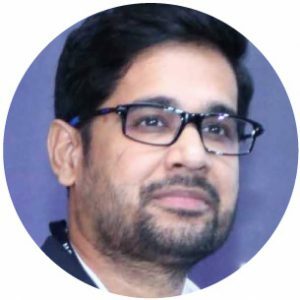 Before Uber, Suchit headed the security engineering function at Flipkart, the largest e-commerce marketplace in India, covering all aspects of secure software development, infrastructure and IT corporate security along with regulatory compliance. He has also worked at salesforce.com where he led and managed the information security programs for acquisitions and enterprise IT. Suchit spent the early years of his career at Adobe where he led the team to embed security into the engineering practices there. 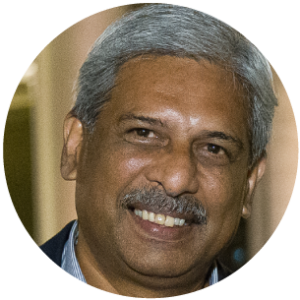 Suchit is a regular speaker and panelist at security conferences worldwide. He holds multiple master’s degrees in Electrical Engineering from University of Alabama, and Software Management from Carnegie Mellon University. Dr. Tom Sprenger is Chief Technology Officer (CTO of AdNovum). He has a strong focus on security, enterprise mobile, and cloud technologies. 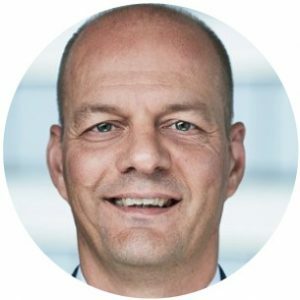 He was instrumental in contributing his experience as a member of the mobile banking strategy group of a large financial institute, and was responsible for the security architecture and implementation of the largest online banking portal in Switzerland for many years. 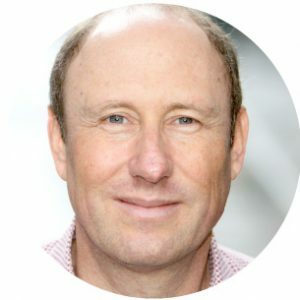 Tom has recently led AdNovum Incubator, together with the community to develop Car Dossier, a blockchain-based digital dossier where all data from a vehicle’s life cycle can be stored transparently and securely. The community consists of University of Zurich, the Lucerne School of Information Technology, the industrial partners AMAG, AXA and Mobility, as well as the Aargau Road Traffic Authority. The project is co-financed by the Federal Commission for Technology and Innovation (CTI). 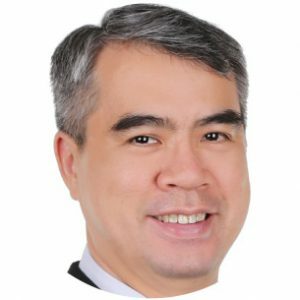 Leonard Sim joined Kaspersky Lab in Nov 2017 as the Head of Presales for the APAC region. 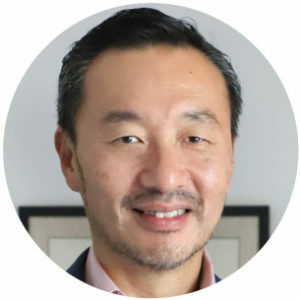 In this role, he currently leads the team of presales managers and engineers across the Asia Pacific region, providing presales support on all Kaspersky Lab solutions to address the cyber security needs and requirements from customers and partners. Prior to joining Kaspersky Lab, Leonard was in various presales and sales engineering roles across multiple global cyber security vendors, for more than 15 years. He is armed with an extensive range of knowledge from cloud security, email security to software-as-a-service, and has driven successful sales closure in collaboration with the sales teams. Amir Ben­-Efraim is co-­founder and CEO of Menlo Security. Previously, Amir was VP of cloud security at Juniper Networks where he helped define the company’s strategy to secure the virtualized data center, public and private clouds. He joined Juniper via its acquisition of Altor Networks, which he led as founder and CEO. Prior to Altor, Amir was an executive at Check Point Software, a pioneer in Internet security. He holds an MBA from UCLA, an MSEE from Stanford University and a BSEE from UC Berkeley. 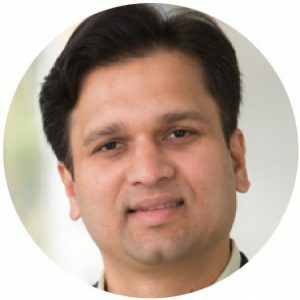 With over 17 years of experience in Information Security and Cyber Security, Gaurav Mahendru is currently a part of the Security and Risk Solutions Practice team at ServiceNow. Prior to ServiceNow Gaurav has worked with Information Security giants such as Symantec, Trend Micro and RSA. Gaurav has done his Bachelors from Mumbai University and also holds and executive MBA in General Management from IIM Lucknow. We need to move from a reactive security model to a proactive security model based on threat intelligence. Modern business models are based on ecosystems, focusing on objects or services in which various private and public actors are involved. AdNovum thus launched ‘Secure Blockchain for Business’, a platform that facilitates the efficient creation and operation of blockchain-based business ecosystems, enabling trusted and seamless business interactions across different industries, markets and companies. 2:45PM – 3:30PM | Roundtable Discussion – How will Blockchain Fortify Cybersecurity? When it comes to managing the hybrid cloud environment, there are a lot of things to consider, which can be overwhelming. Securing a mix of on-premises, private cloud, and public cloud services requires careful orchestration and management of all of the environments. The trick is to have a cross-generational blend of security techniques that deploys the right technique at the right time. This workshop will put you in the shoes of a CISO at a hospital in an interactive simulation game. Will you be able to handle the overwhelming responsibilities of keeping patient data secure? Play the game to find out if you have an understanding of what can happen when DevOps and IT work together—get the right security policies in place to ensure patient data is always safe, and no lives are lost. AdNovum is a premier Swiss IT company specializing in demanding IT projects. Its tailored solutions meet the highest of quality requirements in the tradition of Swiss engineering. AdNovum provides a full suite of IT services, ranging from IT architecture and security consulting and the conception and implementation of customized business and security solutions, to maintenance and support. In addition, AdNovum’s offerings includes the decades-proven NEVIS security suite deployed by renowned companies across various industries, including the public sector.